Belgrade, Yugoslavia… May 1941 – On the eve of World War II, Avraham Adanja and Dara Djosevic were engaged to be married. They postponed their wedding when the war broke out. In 1941, when the Germans invaded Yugoslavia all Jews were placed in great danger. The arrests of Jews began in early May 1941. While not yet married, Dara was considered a member of the Adanja family. As a non-Jew she felt it her duty to try and save the Adanjas. She rushed to obtain false papers for her fiancé and father-in-law, but it was too late – it would take too long to get forged documents. With the help of a doctor, Dara was able to admit Avraham and his father, Jakov, into a psychiatric hospital where they remained until November 1941. By November 1941, Dara had succeeded in acquiring false papers for Avraham and Jakov to travel to Pristina, which was in Italian territory. She took them to Pristina and returned a second time to Belgrade and worked tirelessly to save the remaining members of the Adanja family. By the end of the month she managed to lead Avraham’s brother, Benko, and their mother, Gizela, to Pristina. 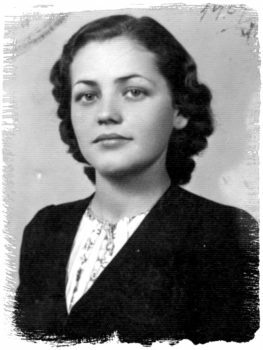 On December 10, 1941 Dara returned to Belgrade for a third time arriving two days before the transport of all remaining Jewish women and children to a concentration camp in Sajmiste. Dara managed to sneak Avraham’s sister, Stella, Stella’s husband, and their two daughters, Lilli and Elisa, to her house in the nearby village of Vice. From there the family was able to continue on to Pristina and then to Albania where they stayed until March 1942. Fearing that the Adanja family would not be safe in Albania, Dara contacted her relatives in Rome. They obtained forged travel documents for the Adanja family enabling them to travel to Rome. In March 1942 the entire Adanja family escaped to Rome and remained there until liberation. Dara and Avraham were married at the end of the war. Dara Djosevic passed away in 2004.